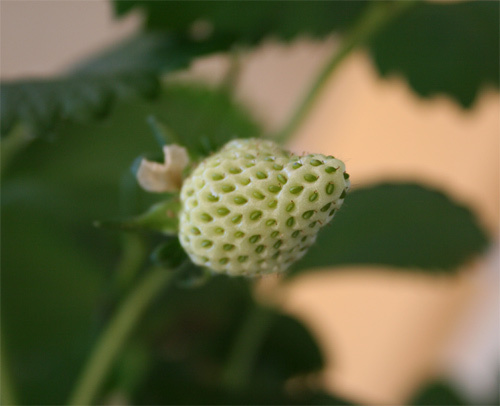 A growing Strawberry on our balcony. After almost going bananas as my wordpress interface prevented me from writing new posts (without me doing any changes) I finally found the problem late last night. It was a plugin that earlier has worked without problems and now suddenly decided to destroy the whole interface. Anyway, now I can finally post again! 1. Frozen Raspberries for my smoothies. 2. My mum’s delicous Polish Sernik (baked cheesecake). 3. My mum’s wonderful Polish Pierogi Ruskie (quark and potato filled pierogi). 1. A LOT of moving boxes (yes, I will unpack them. Another day though…). 2. Teddy bears and other soft cute toys (which I collect). 1. A lot of receipts. 2. A passport (my ID expired 2 years ago and I still havn’t fixed a new one). 3. A Visa card with an erased magstripe (this happens to me all the time since last year. My other credit cards work excellent, it’s just the Visa card that I have problems with. I’ve tried another purse etc but nothing works. I can’t expect the card to work more than a few weeks. Some people say that it’s due to number 5 on this list, but then why are not my other cards affected?). 5. Two cell phones (one private and one for work. I want to be able to turn of the work phone after office hours but still be able to recieve and make private phone calls). I suspect that all other foodies have been tagged already, so please feel free to do this meme if you want to! This entry was posted on Wednesday, July 19th, 2006 at 9:40 am	and is filed under UNCATEGORIZED. You can follow any responses to this entry through the RSS 2.0 feed. You can leave a response, or trackback from your own site.